Sidmouth is a town that lies on the Jurassic Coast, the coastline is dominated by the vivid red sandstone cliff which dates back to the Triassic period. 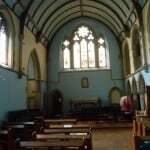 St Francis is the parish church of Woolbrook, Sidmouth and has been here since the 1930s. 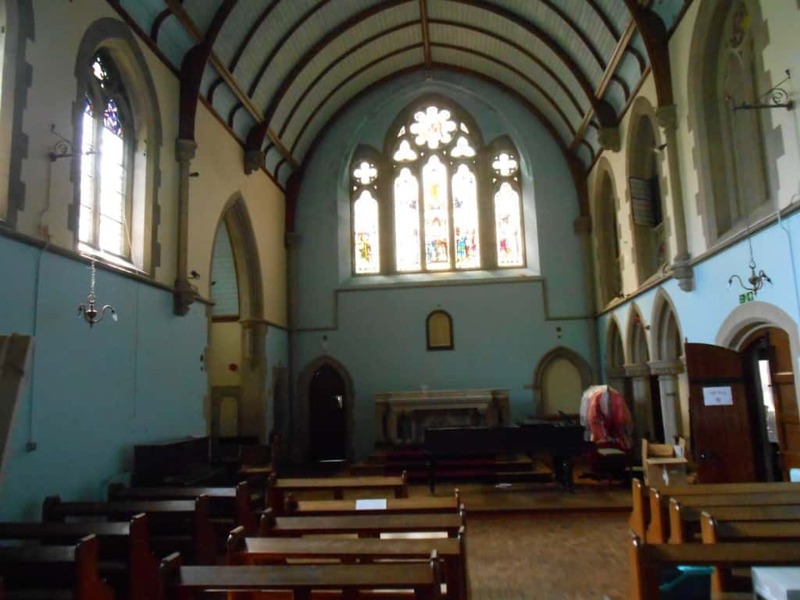 Whilst carrying out the dry remedial works within the flat the adjacent chapel was also inspected for signs of dry rot as dry rot can grow over significant distances to find a food source. 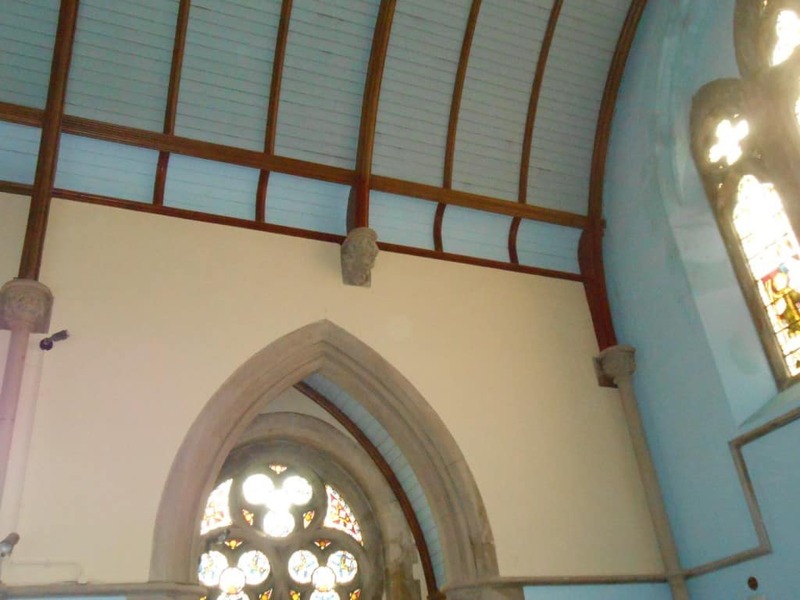 Upon this further survey, our surveyor identified dry rot within the roof structure of the chapel. 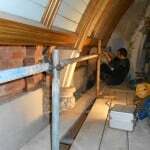 The opportunity was taken to erect a scaffold tower to gain access to inspect the main roof area of the chapel. A small amount of the close boarded timber was also stripped to determine if there was an outbreak behind the roof structure as well. The Jurassic Coast is a 95 mile stretch of the south coast from Exmouth in East Devon to Studland in Dorset. 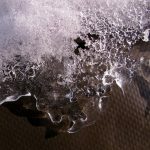 The name comes from the best known of the geological periods found within it including rocks from the Triassic, Jurassic and Cretaceous periods. 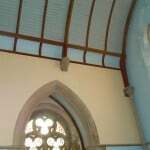 The survey was carried out on the chapel roof which had a barrel vaulted ceiling formed from principal timbers and then supported by stone. In addition, smaller secondary timbers between the principal curved sections were also inspected. It was evident, when stripping out a section of the close boarded timber there was evidence of a dry rot attack. This attack had affected the first two principal timbers towards the rear left corner of the chapel as well as affecting the secondary, curved timbers. 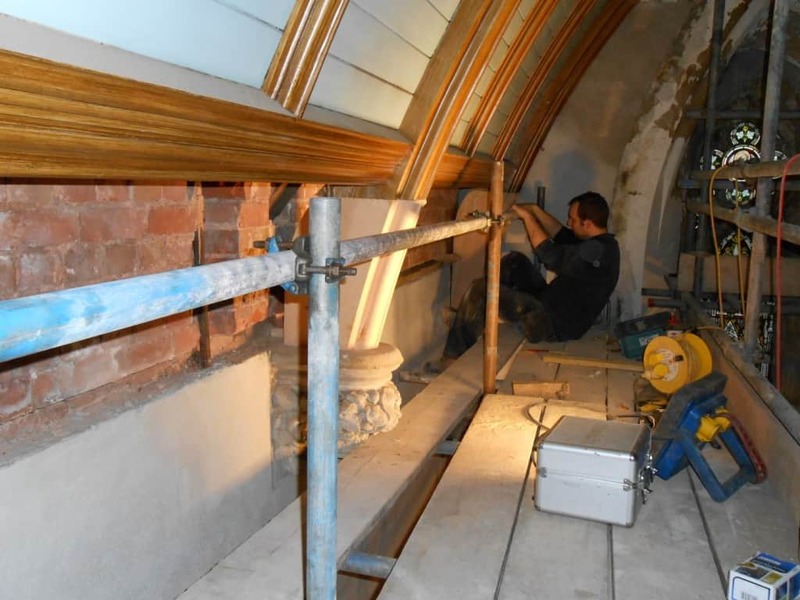 There was no evidence of a dry rot attack affecting the mainframe timbers, purlins or rafters of the main roof structure of the chapel, although dry rot was present within the exposed brickwork of the external wall. Significant water ingress into these areas was evident as there was evidence on the plaster finish of deterioration and salt contamination. 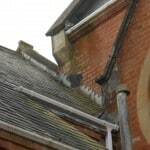 Whilst carrying out the external inspection numerous defects within the roof and flashings could be seen. Also, the size of the guttering used on the main roof was a concern as from the ground inspection, it was clear that ordinary domestic capacity guttering had been used but due to the pitch and size of the roof area much bigger gutter was needed to contain the flow of water. 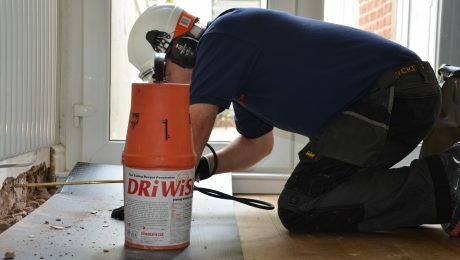 As a result, during periods of heavy rainfall rainwater was overflowing from the gutter resulting in staining on the external wall directly below the guttering and causing penetrating damp issues within the property. To ease this problem, it was suggested that larger size rainwater goods be employed that could handle increased amounts of water. 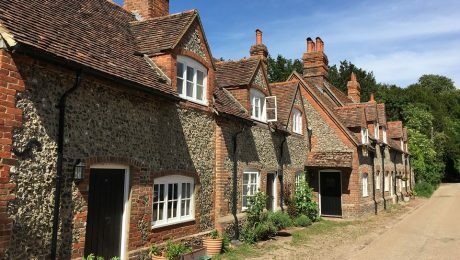 To remediate the dry rot outbreak, all defective timbers were replaced with pre-treated replacement timbers that matched the European Oak timbers previously used. All exposed masonry was cleaned down and treated with fungicidal fluid, any timbers exposed were also treated with fungicidal fluid within the main roof structure. In addition, all defected plaster on the rear walls of the chapel was removed. 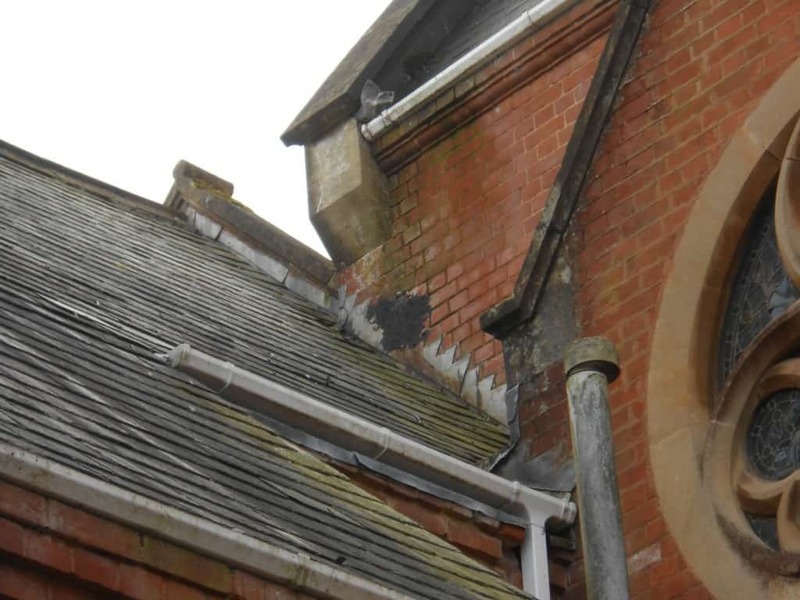 To effectively keep the Church safe from this type of problem reoccurring in the future a damp proof render system was installed to keep the walls of the Church free from water ingress. The customer was delighted with the end result, they were especially pleased that Timberwise carried out the works in the agreed timescales. 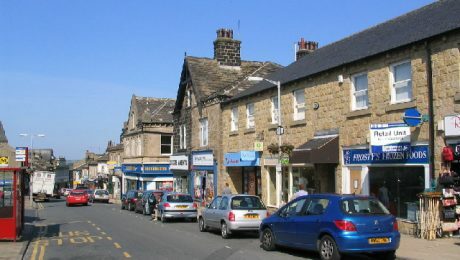 This meant the church could resume normal working day practices sooner rather than later. 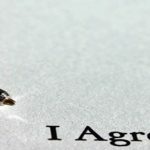 Timberwise also provided insurance underwritten guarantees for the work carried out, covering materials used and all aspects of the work and any possible damage.